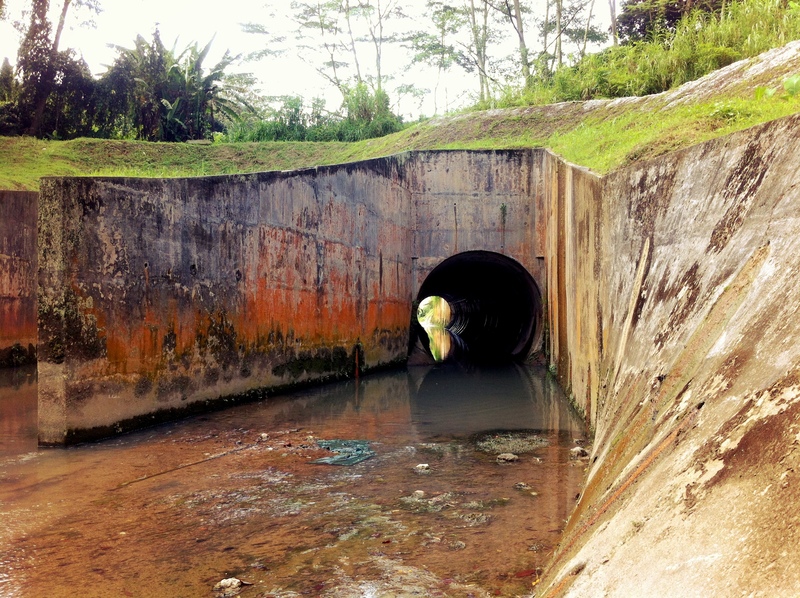 Located in the middle of the Green corridor path between the Bukit Timah train station and Holland Road is a beautifully constructed double-tunnel canal that connects the Bukit Timah and Ulu Pandan canals together. 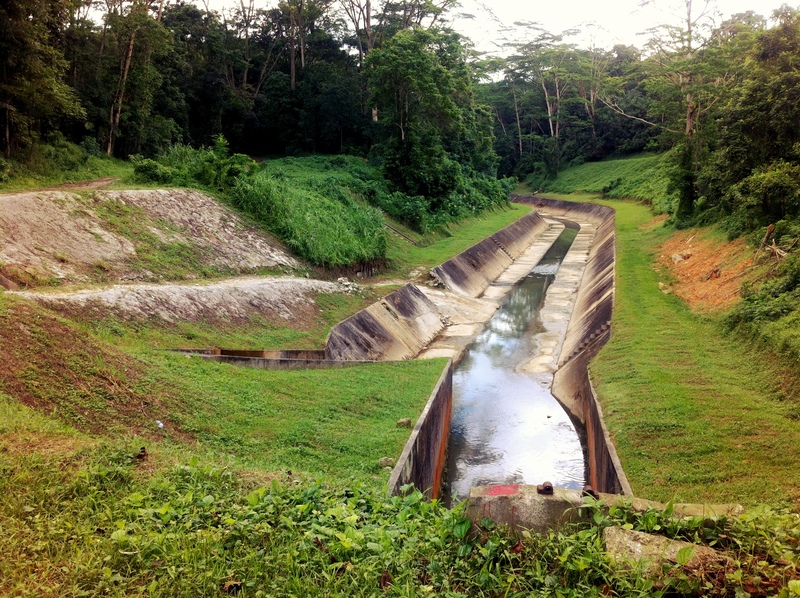 Built in 1972, it is officially known as the First Bukit Timah Diversion canal and runs along the roads of Holland Plain-Holland Green-Ulu Pandan. 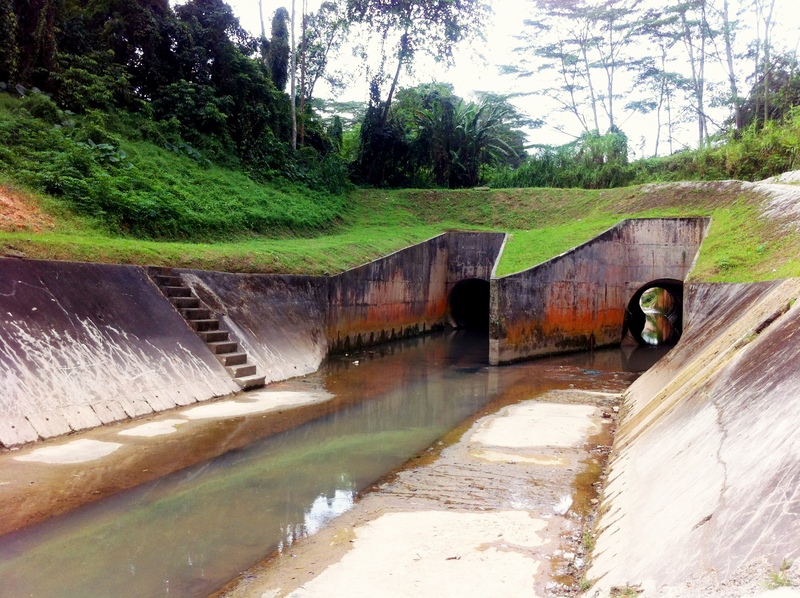 Bukit Timah First Diversion Canal Tunnels measuring 4.2 metres across at the widest diameter each. Each of the beautifully constructed tunnel measures a uniform 4.2 metres across and cuts under the site of Military Hill, a name that must have been coined as a result of the many historic battles around the area during the Japanese invasion. 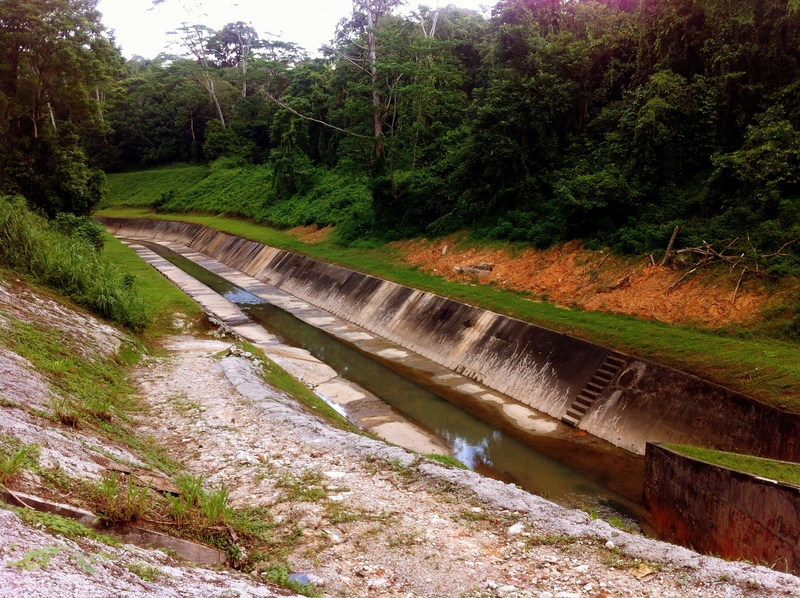 The canal was essentially built to help alleviate flooding in the Bukit Timah area, which historically and even presently, remains one of the worse hit flood areas in records that date back to 1954. Architecturally this canal seems to have been built differently from most other canals. Firstly, it is definitely not as deep and treacherous looking as most canals, the water flowing almost like a stream instead of a heavy body of water. The lack of railguards and gently sloping stairs at the side also seems to act as an encouragement for passerbys to head down for a little exploration and admire the mystifying beauty of the two tunnels. 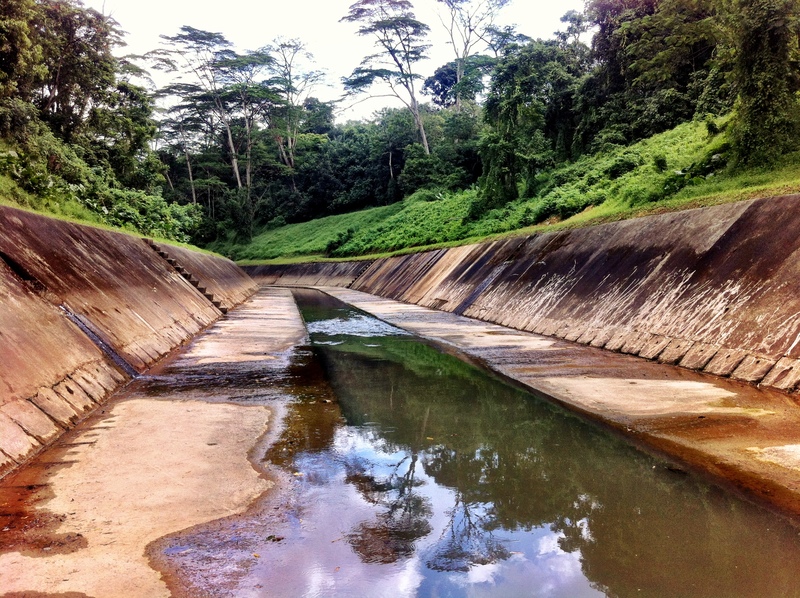 Grime and sludge aside, the First Bukit Timah diversion canal, like many others, contains a unique ecosystem that includes the likes of waterplants and fishes, something that is perhaps best documented in the film All the Lines Flow Out (2011) by sailor turned filmmaker Charles Lim who was intrigued by the different drainage systems in Singapore. The canal can be seen from 10:40 onwards. However we see it, canals have secretly been an interestingly integral part of our society. From a nationwide stand of curbing the spread of Malaria and flooding, to more personal memories of guppy catching, fishing and even the odd watersports, there is something about the way that canals have literally connected all of us both physically and emotionally.